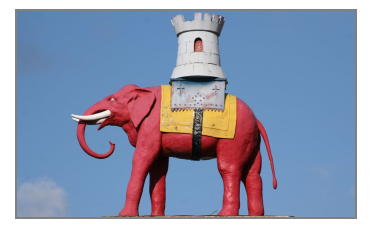 The Elephant and Castle, or the Elephant for short, takes its name from a major traffic junction in Central London, in an area previously known as Newington. The junction, in turn, derived its name from a coaching inn on the site dating to the 18th century. Today the Elephant and Castle is home to the London College of Communication, a large part of theLondon South Bank University campus and the Ministry of Sound nightclub. The Elephant has a thriving shopping area, and in recent years a certain amount of gentrification has taken place, giving rise to an increase in high-quality restaurants in the area. Business owners and residents of the Elephant can rely on Fast Response Plumbers for any routine or emergency plumbing requirements. We provide fast, professional solutions to all drainage, plumbing and heating problems and our local team pride themselves on their excellent workmanship and customer service. All our plumbers are fully qualified and certified, and have a wealth of experience of fixing plumbing problems both large and small, from leaking taps to blocked toilets and burst pipes. Fast Response Plumbers will get an expert to your home or business quickly, and provide an analysis of your requirements and a quote for a cost-effective solution. You can rest assured that we have the right training and the correct tools to do the job. Our many repeat customers can attest to the fact that you can use Fast Response Plumbers with confidence. Fast Response Plumbers have experienced technicians who can fix broken or faulty boilers, as well as install new central heating systems. Our experts are able to tackle any kind of boiler problem, whether it relates to a combi, open-vented, conventional or system boiler. We are experts at fixing gas leaks, faulty thermostats, and broken pumps and water tanks. We will send our trained technicians to deal with the problem promptly and efficiently. We also supply and install new boilers and do replacements of outdated gas appliances. In addition, we conduct gas safe inspections and provide gas safe covers. No one can predict when a water pipe in their home is going to burst, or some other plumbing disaster might strike, but when you find yourself ankle-deep in water in your bathroom, it is fair to say that you need a plumber fast. Fast Response Plumbers are on duty 24 hours a day, seven days a week. No matter what time of day your plumbing emergency strikes, our team in the Elephant and Castle will be on site within two hours of receiving a call, and we will fix the problem quickly and efficiently.